Ensure Your Voice Is Heard. Shape the Direction of Your NP Association. Run for an Elected Position. If you’ve ever wanted to make a direct impact on the NP role, work with others to advance your NP association and advocate for the health of patients in your state and nationwide, here’s your opportunity! AANP is accepting nominations for the annual leadership election through 5 p.m. CT on Friday, November 30, 2018. The position of Treasurer. The Treasurer serves a two-year term as an officer of the AANP Board of Directors (BOD) and is responsible for presenting the finance report at the AANP annual meeting, ensuring financial reports are submitted quarterly and participating in the creation and implementation of the annual budget. Review the complete position description for more details. Four positions on the AANP Nomination Council. The Nomination Council is comprised of elected AANP members who serve for a three-year term, with responsibilities that include developing information regarding the nominations process, conducting reviews and interviews of all eligible candidates and ensuring ballots are sent to AANP members. Review the complete position description for more details. Regional Director positions for Regions 1, 3, 5, 7, 9 and 11. AANP is organized into 11 regions, each represented by a regional director for a two-year term that represents respective regional membership on the BOD, works with state representatives to facilitate members’ needs and collaborates with staff on the annual regional leadership meeting. Review the complete position description for more details. State Representative positions for Alaska, Arkansas, Colorado, Idaho, Kentucky, Louisiana, Montana, New Jersey, New York (N), New York (S), North Carolina, North Dakota, Oklahoma, Oregon, Puerto Rico, South Carolina, South Dakota, Tennessee, Texas (N), Texas (S), Utah, Washington and Wyoming. AANP state representatives serve a two-year term as the main contact person for regional directors, the BOD and committees. Review the complete position description for more details. AANP members in good standing for the 12 months prior to November 1, 2018 (with no lapse in membership), are eligible to submit their information for consideration as a candidate for the 2019 election. 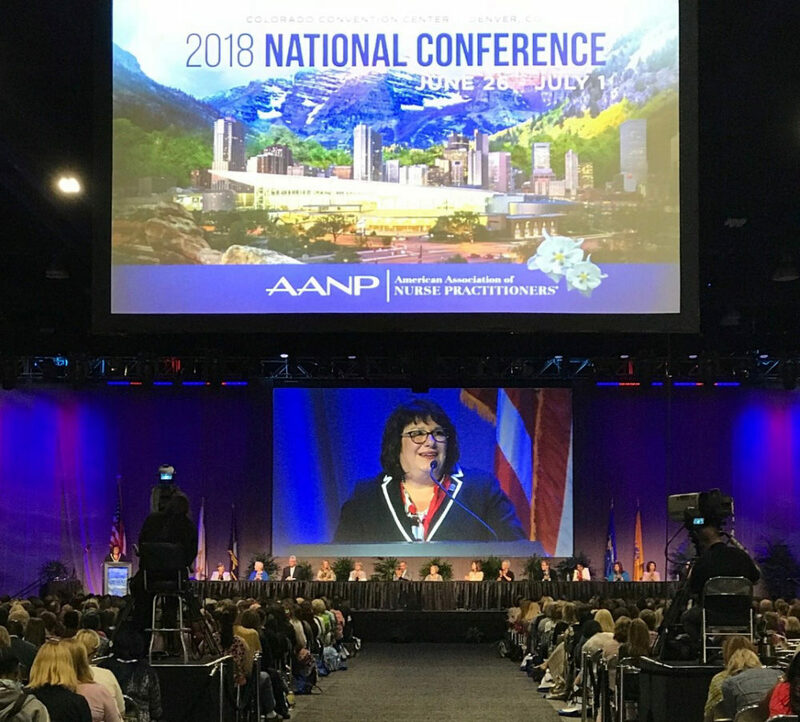 All elected officers will begin their term at the close of the 2019 AANP National Conference, which will be held in Indianapolis June 18–23, 2019. Even if you aren’t running for office, you can still prepare to meet with your newly elected AANP leaders at conference. Save the date! AANP members are a crucial component of our organization’s leadership. AANP relies on the experience and expertise of NP leaders to guide the association towards excellence in education, practice, advocacy and research. Nominations close Friday, November 30, 2018, at 5 p.m. CT.
Don’t forget to vote! The candidates’ bios and campaign messages will be posted February 4, 2019, and voting will be live March 14–31, 2019.